Our convenient delivery service means that you will never have to worry about forgetting to change your HVAC filters. With our efficient service, you can order new filters and once again enjoy cleaner, healthier air in no time. We offer AC filter sales and fast delivery to customers in San Antonio and surrounding area. MERV 8 filters remove particles as small as 3 microns and are ideal for residential use. Features include a wire-backed synthetic filtration surface, sturdy frame, and pleated design that increases surface area.Our filters are ideal for furnaces, return ducts, and indoor air handlers if you have a split system. To offer you convenience at the best value, our filters are sold in packs of six, with no additional cost for shipping. Depending on your requirements, you can schedule deliveries every 30, 60, or 90 days. We offer filters in these common sizes. Our experts specialize in heating installation for residential buildings. We will provide a free estimate, select the right size and type of unit and install it all at an affordable rate. Our wide range of furnaces, heat pumps, ductless split systems, and specialty heating products will make your next project a success. Once the equipment is installed, we will maintain it so that it can serve you for many years. If you are not sure what size filter you need, give us a call. Our technicians will be glad to help. Our AC filter delivery services are a convenient way to ensure that you enjoy all the benefits of clean air and clean filters. Surprisingly, a new air filter can bring relief from many common air quality and equipment problems. Changing your air filters regularly will help you to enjoy lower utility bills, fewer repair calls and better indoor air quality. Experts recommend that you inspect your HVAC filters monthly and change them as needed, especially during those periods when you rely on your HVAC system more. When a filter is clogged with dust, the restricted airflow makes the system run longer to heat and cool your home. According to the U.S. Department of Energy, efficiency can decrease by 15 percent. 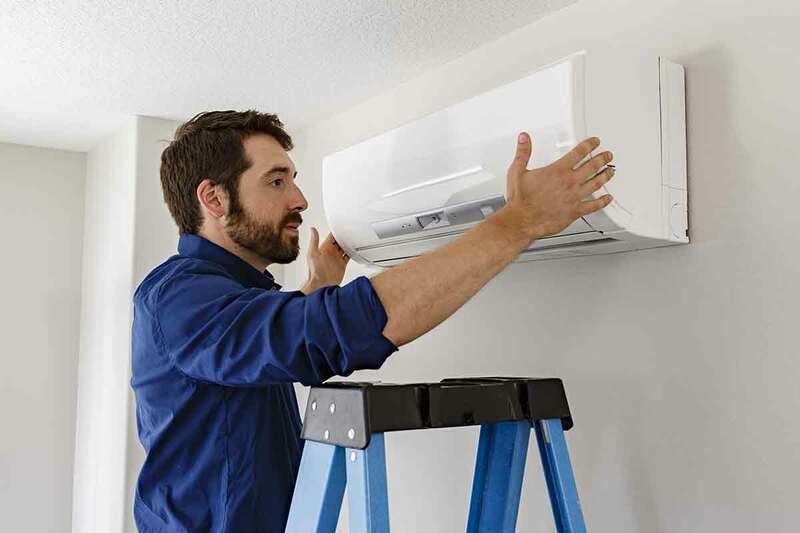 If airflow is restricted, the heating and cooling process can become disrupted, which can cause your air conditioner to overheat, freeze, or fail. Take advantage of our convenient AC filter delivery service, and place your order today. It’s the easiest way to have high-quality air filters delivered to your door.